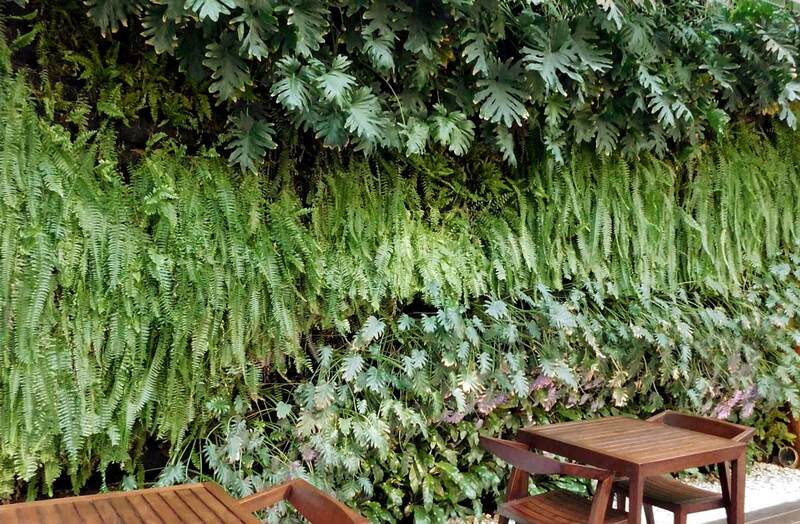 A large, stunning, textural vertical garden using plants stylised towards lush, verdant greenery to enhance the busy space in which it is situated. 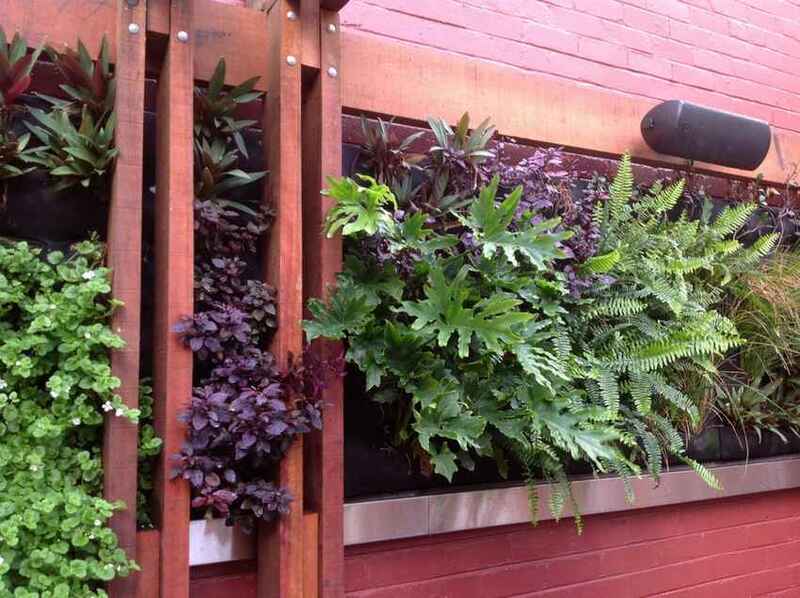 The Cloisters Square vertical garden forms a massive living artwork, creating a beautiful, peaceful refuge for people eating lunch, having meetings or a coffee. 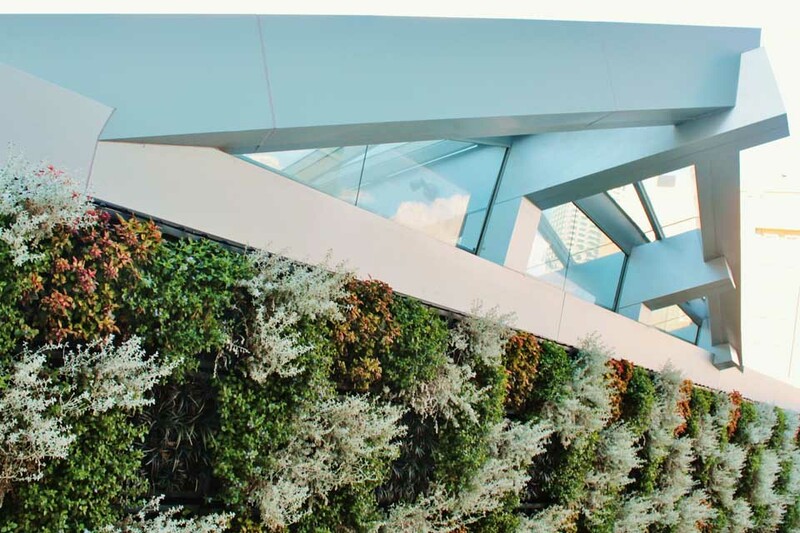 The expanse of vertical greenery exudes freshness and a feeling of being closer to nature – an oasis in the busy city square and surroundings. 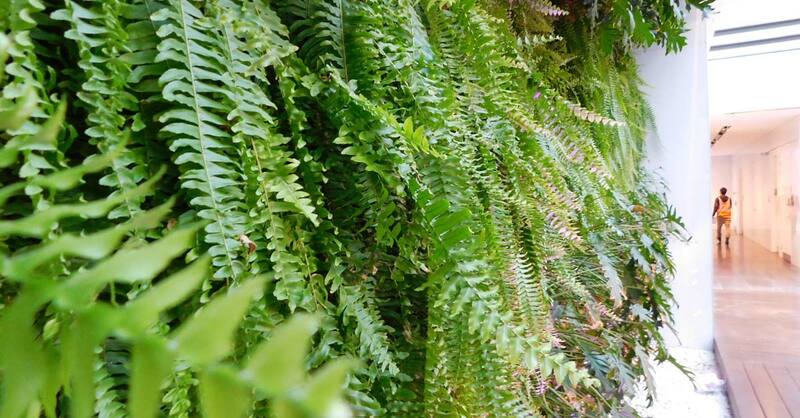 Grow Lights enable the garden to perform at its optimum in the low light of the internal/external area, bringing the outside in to where people can appreciate the calming, yet invigorating effects of biophyllic design. 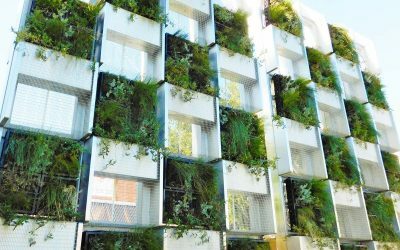 In today’s fast-paced, hectic lifestyle, it is important to take a little time to appreciate nature, and this particular vertical garden brings the benefits of the natural world to many every day. 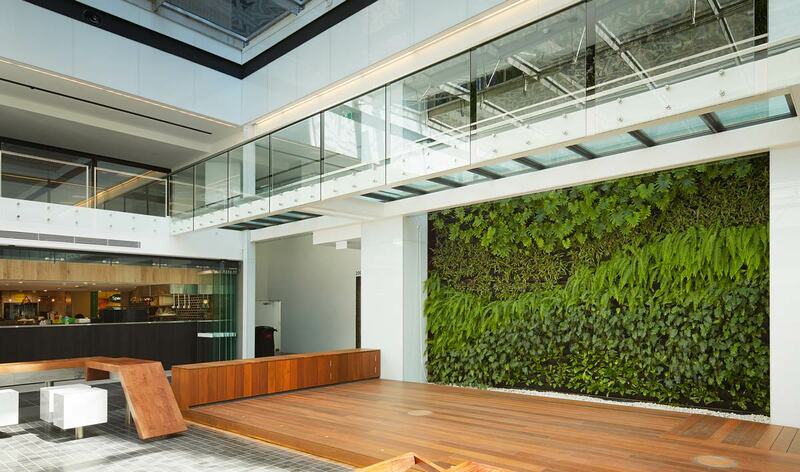 Reduced stress, increased happiness and higher productivity are all products of incorporating flora into our everyday lives.